The way we search has dramatically changed not in even just in the last few years, but in the last few months! If you are a restaurant owner, I know that the opportunity to optimize and win for local search is such in your grasp! 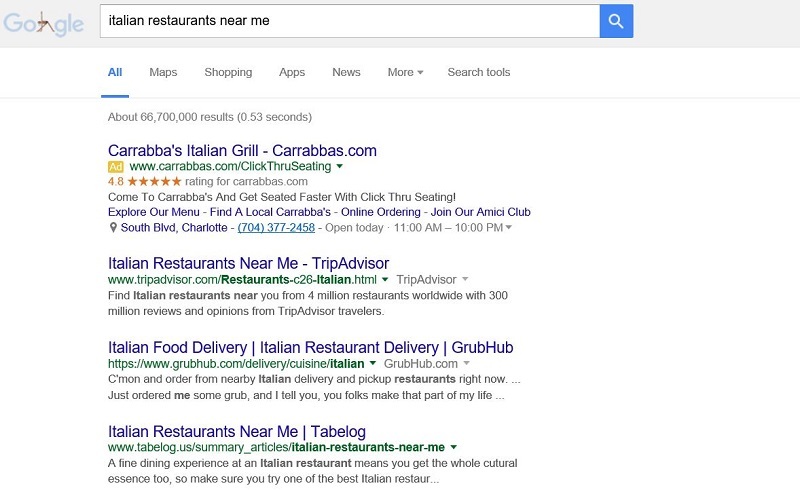 Here are some ways you can optimize your restaurant for both Google and Bing. Head to Google or Bing and type in restaurants near me. You will see a lot of interesting auto suggest keywords from both search engines, but that only tells you a sliver about what is trending for search. Expand upon that list with Google’s Keyword Planner Tool. When I put restaurants near me into the KW planner tool, I got over 800 keyword suggestions. I decided to sort the top 50 queries in the grand total column just for this example. I then created a trend line for all 50 queries to see if they have gone up or down during the last 12 months. Here is that excel document below. Those trend lines are hard to read at times. That growth line might not look like a lot, so I decided to visualize the difference of avg. monthly searches compared to the last month of available data from Google which is November 2015. I then created a conditional format just to show me if last month was greater than the 12 month average. This will help me highlight some rows. There is some massive growth in those queries that people are performing on Google. Personalized search that Google and Bing work to deliver is something that is now on the rise for all of us. Again, I am just looking at the top 50 queries from the planner tool from Google, but this should get the marketer in you thinking. Here are the questions I would ask. What is starting to trend in terms of my audience searching? Am I (we) covered as a business to deliver on these queries? What can I do to get clicked on for these search terms? The first question was already answered in the picture I provided. 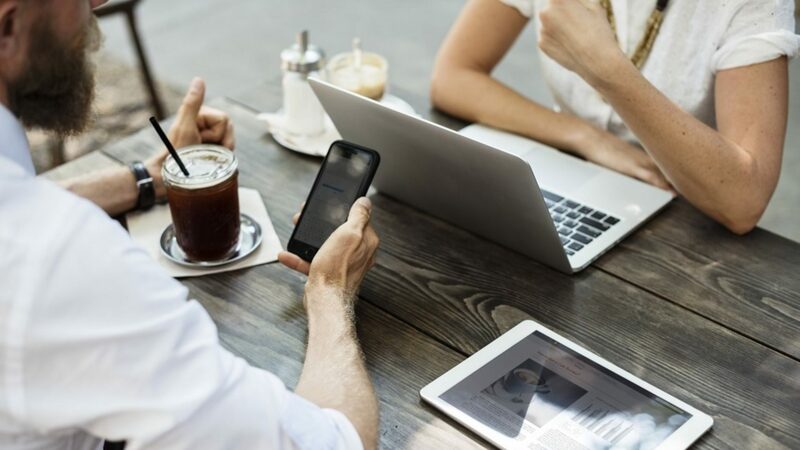 If you spend a few minutes really personalizing the terms that make sense for your business, you will have a good head start. In fact you won’t just have a good start, you will have a tremendous start. I put some pictures below in this blog post just to show how little advertising is going on. The second question is are we truly covered for these queries? What do I mean by that? If you are a restaurant and you can’t actually deliver food by car (or bike), you might want to think about how you can handle this. These queries that people search for are looking for a restaurant to deliver food to them, so you want to make sure you can offer that. Obviously that has to make sense for your business, but we will just say that it does. Check out GrubHub as an option to add delivery as a way to reach an audience that might of otherwise overlooked you simply because you were not listed on GrubHub’s app. The third question is just how can I attract that search volume to my site? The second answer talked about GrubHub, but what about some of the other terms? Let’s look at an example of a SERP listing in Google and Bing. Google and Bing are two of the biggest entry points that the user will take to find information when they search. I mention PPC as an avenue that you can take to bid on those search terms and be found by your target audience. You can target users in a particular place with keyword queries that match what you offer. If you are curious about how to do this, I wrote about that already. Click here to learn how to target by radius in Bing Ads. Check out this SERP in Google. With only one paid ad at the top, I would certainly look into this as an opportunity to be discovered in Google. Same things happen in Bing. There is just one person advertising. Paid search does not just mean to simply have a blue link that links to your site. You should absolutely consider adding call extensions and location extensions as well. I don’t want this blog to simply just say pay for clicks as the answer to all of this. I want this blog post to inspire new ideas to get exposure for your restaurant out there. Some other things to consider for your restaurant are other avenues to reach your audience. Yelp is a great place to start. Did you notice that as a searcher, I can sort by rating? Think about it for yourself. Would you be more inclined to find a restaurant that has a really good Yelp review? I know I would. You should make sure your hours and menu are up to date on Google, Bing, and Yelp. All of that information above comes from places like Bing Places and Yelp. The place and hours that you give can get indexed by Bing to be shown at the top of the SERP. Think about it like this. You providing great pictures on Yelp and Bing Places allows Bing to discover this content and show it to the user. The best part of Bing Places and Yelp is that you can use both for free. I also offer Boston SEO Services to help grow your business.